In the early 1970's the corporate office of Snap-on Tools, located in Kenosha, Wisconsin, began planning to open an additional forge shop to supplement their hand tools facilities. Their current manufacturing facilities were located in Mt. Carmel, IL, Milwaukee, WI, and Kenosha, WI. The new forge shop would need to be in an area that was centrally located to the eastern United States. There would also need to be a competent available workforce and labor cost would need to be less than at the current forge shop in Wisconsin. There was also a need for rail service to bring in raw material and equipment for production. In 1974, the decision was made to open a small forge shop in the hills of East Tennessee. The chosen location which met all the criteria was in the small town of Elizabethton. A parcel of land was selected on State Line Road in a small metal building adjacent to the railroad tracks that had previously been used to build snow mobiles. In August of 1974, the facility opened with Dan Voigt at the helm. Although Mr. Voigt was not from this area, he was well received by the local workforce. He once stated that "If you want a job at Snap-on, you have to know someone or be related to someone already here" His philosophy was to create a family type environment. Snap-on quickly became the most sought after industrial employer in the area. On initial start-up the facility was about 5000 sq. ft. and employed less than 20 workers and staff combined. Snap-on Elizabethton was a forge shop that would convert raw steel bars into forgings for wrenches. A forging is a blank piece of metal that resembles the finished product but requires several operations to complete. There were also a few other minor operations performed to the product then they were bulk shipped to other facilities for completion. The Elizabethton facility quickly grabbed the attention of the corporate office due to the quality of the product, energetic workforce and the economics of operating a business in East Tennessee due to the lower cost of living in the area. The employee turnover and attendance were the best in the corporation which spoke highly of the work ethics of the hand picked employees. Mr. Voigt would state in a local news article "We have been very selective and it has payed off". The facility would expand the very next year to include more polishing and drilling operations. The new addition would increase the floor space by 21,000 sq. ft. and quadruple the workforce. By the end of the second year, there would be around 75 employees working at the Elizabethton facility. There would be another 73,000 sq. ft. addition in 1981 which would be the biggest addition in the plant's history. At a cost of $6,000,000, the new building on the north side would create around 150 additional jobs for the community. 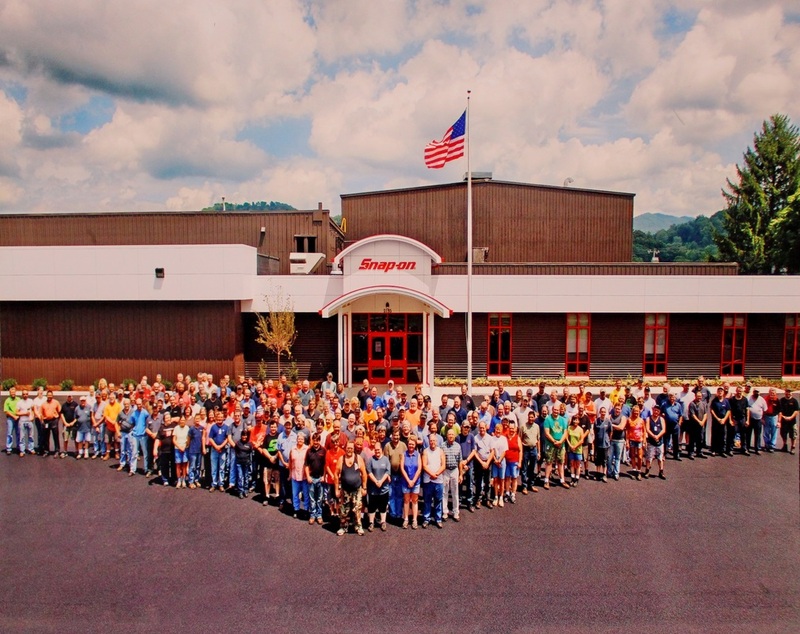 By the end of 1981 the Snap-on Elizabethton workforce would reach 240 associates. The new addition would give the local facility the ability to completely finish a wrench. This would include newly added Heat Treating, Vibratory Finishing and Nickel/Chrome Plating. Although the product would be fully finished, it would still be sent in bulk shipments to the distribution center in Crystal Lake, IL. In 1991, the Elizabethton plant would see another huge spike in production with the introduction of the Flank Drive Series of wrenches. This was a very prosperous time for the plant and shipments continued to increase. The mid 90's would see ebb and flow conditions for hand tool demand. At times, the plant would be working 6 and sometimes 7 days a week. Other times would be plagued with layoffs and reduced hours for remaining employees. It was a tough time for all US industries and Snap-on was no exception. Production would stablize after the Y2K scare. Another addition was added in 2004 that would be used for storage of raw product and a new shipping and receiving bay. Elizabethton was continuing to improve and early in 2004 when the corporate office would decide to close 2 of the 7 US manufacturing facilities, the Elizabethton plant would be spared. The next couple of years would be quite a challenge for Elizabethton. More than 200 pieces of equipment from the closing facilities were inherited by the local plant. It was a very steep learning curve for the employees and staff. Several products that had never been manufactured here were now Elizabethton's responsibility. This included virtually all ratchet families which would be assembled onsite before being shipped to the Distribution Center. In the 2007, Snap-on would begin to rethink the way they manufacture product. With the application of LEAN principals, the entire Snap-on Corporation would transform from batch processing to one piece flow and would replace obsolete machinery with new CNC equipment and product cells were created. Safety and organization would be the primary focus. Snap-on had realized that although a US based facility could not compete with the third world market on cost, they would focus on providing a quality product, on time delivery, and uncompromised customer satisfaction. From 2007 until now, the efficiency for the Elizabethton facility has more than doubled even though the number of employees is about the same. Some robotic production has been introduced to the process. The facility is currently headed by Jon Carley which has been the Site Manager since 2005. Snap-on Elizabethton has continued to be the largest industrial employer in Carter County and has been very involved in community projects over the past several years. In 2012 the decision was made to add an additonal 38,000 square feet to the facility. The new addition would include a new entrance for both the east and west sides of the building. Included would be a new commons area for the hourly associates with a much larger break area, a computer kiosk and an outdoor break area. There was also a 35,000 sq. ft. manufacturing area added to make room for new product to be made in the Elizabethton plant. The east additon includes an expanded Die Shop, new visitor lobby, and state of the art conference rooms. The Elizabethton Snap-on facility is the primary hand tool supplier for the United States and several of the wrenches and ratchets that are made here are shipped all over the world. If you have ever noticed the Snap-on logo, you will see an open end wrench embedded in the "S". This is the only tool represented in the logo and reflect the tools that are made right here in Carter County, Tennessee. 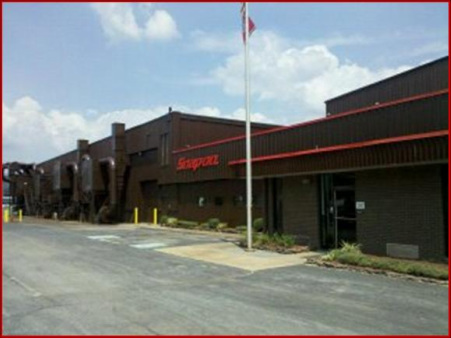 The slideshow below provides a brief look at the history of the Snap-on Elizabethton Facility.